24 Days until the Barrie Colts Home Opener! 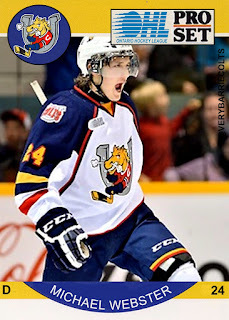 (Michael Webster) #OHL - Very Barrie Colts | A website covering the Barrie Colts of the OHL. 24 days until the start of the Barrie Colts 2017-18 regular season! Michael Webster wore 24 with the Colts for 4 seasons. 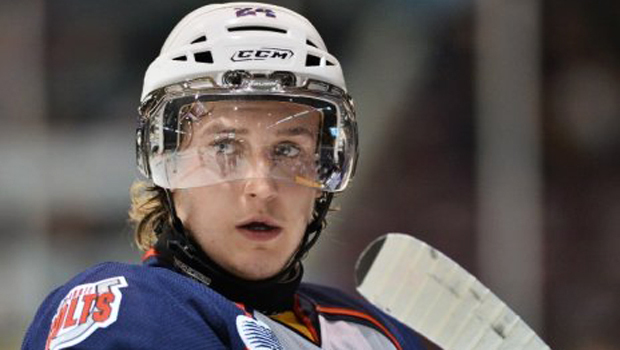 Barrie selected Webster 233 overall at the 2011 OHL Priority Selection draft. Webster would play his rookie season in 2012-13 posting a total of 11 assists over 63 games played. After his OHL season concluded he would go on to sign a 1-year deal with the Pittsburgh Penguins AHL team, the Wilkes-Barre/Scranton Penguins. Webster spent the season with the teams ECHL team the Wheeling Nailers. The 2016-17 season saw him play 57 games. He finished the season with 5 goals and 24 assists. 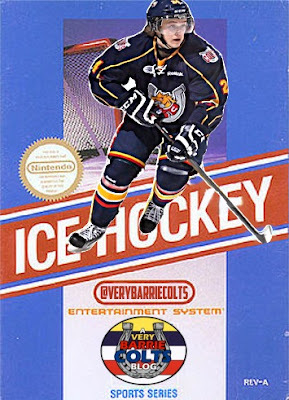 I got a chance to work with Michael on Roger TV Barrie’s ‘Barrie Fantasy Hockey League’ which was a show with players, the Colts announce team, other community members and myself (Ryan Noble) competing in fantasy hockey. Yes, Yes, Team Noble won the trophy at the end of the season, but Webster was great the couple times I worked with him on set.